We recently had the opportunity to interview Jeff Norman, Master Taster at Jack Daniel’s Distillery in Lynchburg, Tennessee — he’s one of the few individuals at the Jack Daniel Distillery with the responsibility for ensuring that every drop of Jack Daniel’s Tennessee Whiskey is up to the same standards that Mr. Jack himself held when he first began making his whiskey in the mid 1800s. Jeff may have had a leg up on securing this enviable position, his parents collectively dedicated more than 70 years of service making Jack Daniels whiskey before retiring, Jeff’s father, who also appeared in several Jack Daniel’s print advertisements, also include taster on his list of duties. 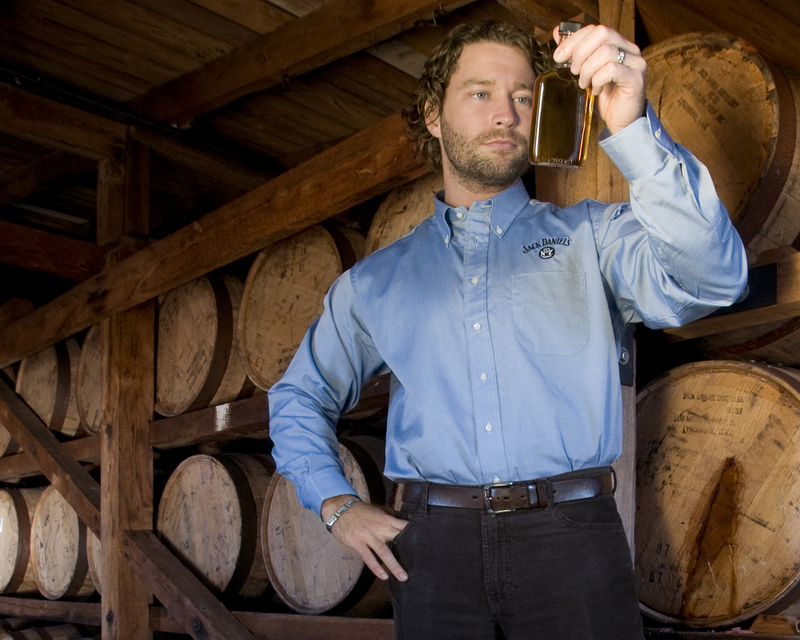 After receiving his Ph.D. in environmental chemistry in 2003, Norman returned to Lynchburg and started working at the distillery as a still man. Norman has also kept watch over the grains and cave spring water through the fermentation process before more recently being made a quality control specialist. 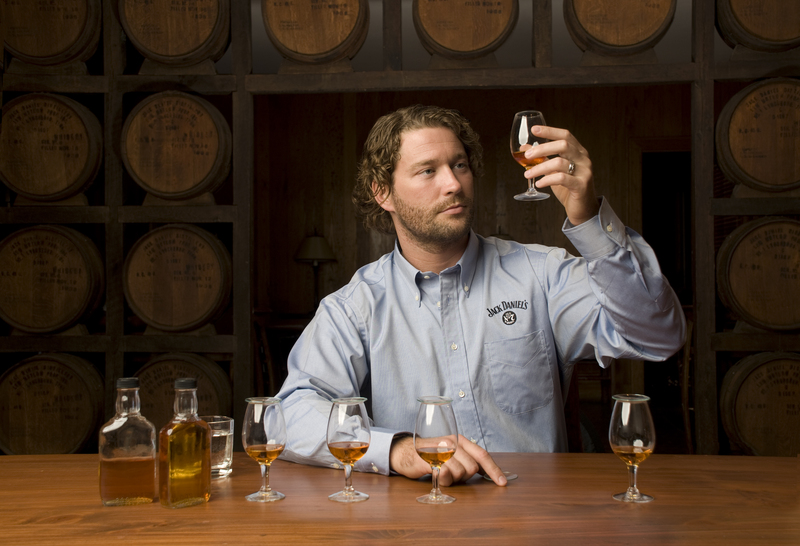 He now spends his days on the master tasting panel, selecting the whiskey that will become Jack Daniel’s Single Barrel and taste testing the whiskey before it’s bottled. We sourced our questions from Total Wine & More team members from across the country, let’s see what they had to ask! Aside from the charcoal-mellowing process, what sets Tennessee whiskey apart from bourbon? JN: While bourbons and Tennessee whiskey share some similarities, the biggest differences are the charcoal mellowing process (which you mentioned) and our pure, pristine cave water. We make our own sugar maple charcoal and allow our newly distilled spirit to trickle through ten feet of it. This process smooths and polishes the spirit before going into the white oak barrels for maturation. Even before the mellowing process, our uniqueness rises from the cave spring water we use to make Jack Daniel’s Tennessee whiskey. It’s the same source of water Mr. Jack found and used many decades ago. How do you describe the characteristics/flavor profile of Jack Daniels to consumers? I’m sure you get to try many different cocktails made with the Jack Daniel’s line – any favorites you can share? What’s the most unique use of Jack Daniels you’ve encountered? JN: My favorite is Jack Daniel’s Single Barrel on the rocks (two rocks to be exact) – that’s as fancy as I get. The most unique use? Every pour is unique in its own way. What are the day-to-day duties/responsibilities of a Master Blender/Taster? There has been a recent proliferation of flavored whiskies (Jack Daniel’s Honey as an example) any comments on this trend? JN: As Master Taster my duties include ensuring the consistency of Jack Daniel’s remains constant. I do this by tasting batches of whiskey and individual barrels to ensure the whiskey is mature enough to bottle. I also keep a discerning eye on the barrels as they mature in the rick houses – this helps me to ensure the whiskey is pulled out at peak maturity. What’s the secret to the longevity and consistency of Jack Daniels? JN: We haven’t changed the time honored tradition of crafting Jack Daniel’s whiskey. Mr. Jack came up with the recipe many decades ago and we didn’t see a need to change anything. People have come to expect a very certain flavor profile and quality from Jack Daniel’s, and we strive each and every day to craft the whiskey the best way we know how. Is it true that all Jack Daniel’s employees get a free bottle with every paycheck? JN: You’re close. The employees get a free bottle every month. No one misses that day of work! Any new items you’re thinking about doing? JN: We are always thinking about new ways to please our friends around the world (i.e. Jack Daniel’s Tennessee Honey), and we do have a new expression coming out this fall. We are very careful not to offer anything unless we are sure it’s going to be a hit. Rest assured – Jack Daniel’s will always be made the same way. What’s your drink of choice when you’re not working? JN: Jack Daniel’s Single Barrel on the rocks. What are you trying to achieve with Green Label and in your mind, what differentiates it from other JD items? JN: We are offering our Jack Daniel’s friends another way to enjoy our Tennessee whiskey. Green Label is a great whiskey, and it’s a bit less mature than Black Label meaning it’s not as intense in flavor and aroma. Some people prefer this flavor profile, and we’re glad to offer it to them. What is the maximum amount of time it would take for the Jack Daniels Black Label to mature in the barrels? Or what has been the longest time recorded for maturation? JN: Due to our changing seasons it takes Jack Daniel’s Black Label approximately four to five years to mature by working in and out of the toasted and charred white oak barrels. During this maturation period, rich notes of caramel, vanilla, butterscotch and oak are intensified as the seasons pass. We treat our whiskey like fruit on a tree. It’s not ready when a calendar says so. It’s ready when it tastes like it should, and I am the lucky person to determine that! Many thanks to Jeff for his time and great answers for our questions! Are you in the Seattle area? 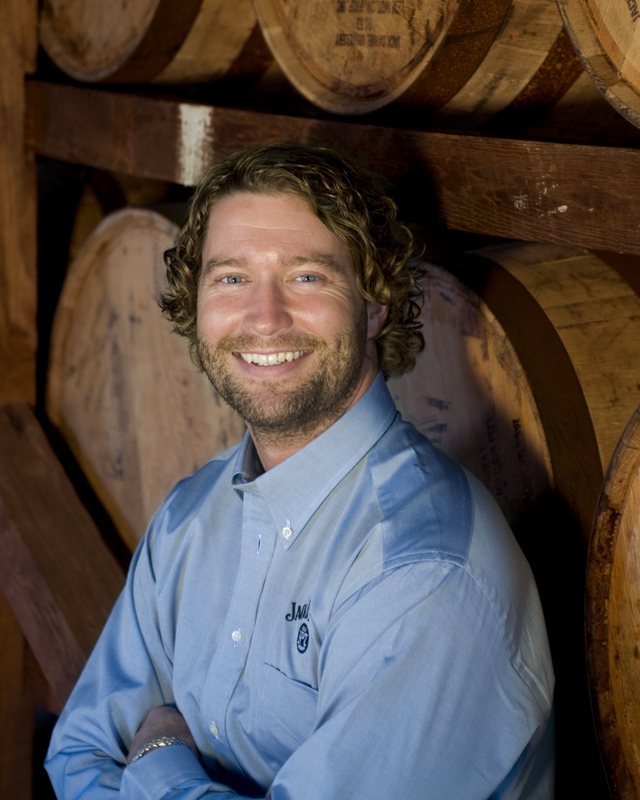 Come meet Jeff in-person and have a bottle of Jack Daniel’s signed! Jeff will be visiting our Tukwila, Washington (Southcenter) store on 9/25 from 3 to 5:30pm, we hope to see you there!